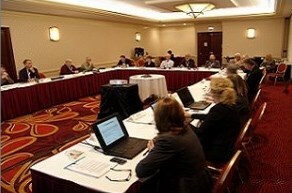 The Pension Review Board is committed to offering educational resources to all of its constituents. 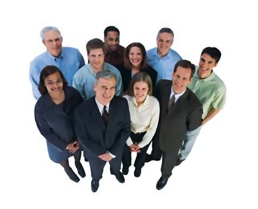 The PRB acts as a clearinghouse for comprehensive pension information and provides technical assistance to systems, governments, and public employees. This section contains information on plan reporting requirements, including the reporting due date calendar and PRB Forms such as the PRB-1000 Investment Returns and Assumptions Report. This section contains information and materials related to the development of the educational training program including training requirements, working group meeting summaries, board action and the program’s statute. 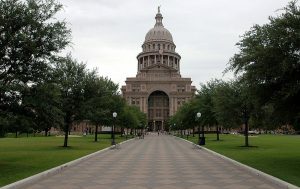 This section contains a pamphlet of the Texas Government Code relating to public pensions. This section contains the PRB’s current Pension Funding Guidelines which were adopted in January 2017 and went into effect on June 30, 2017. 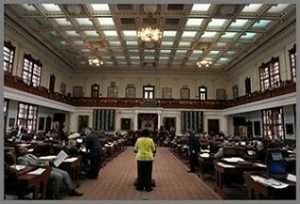 This section contains the PRB model ethics policy, sample policies, links to Texas statutes, and other best practices resources. This section contains TLFFRA-specific resources including Technical Assistance, Training, Appeals to SOAH, and the contact information for the PRB’s TLFFRA specialist, Joey Evans. This section contains PRB research and analysis on several pension topics. Summary: Financial Health Study of Texas Public Retirement Sys. This section contains the most recent data from reports received from public retirement systems. The 83rd Texas Legislature required the Pension Review Board (PRB) to establish a Minimum Educational Training (MET) Program for trustees and system administrators of Texas public retirement systems. An organization or individual who seeks to offer training that meets MET Program requirements may apply to do so through two different pathways: sponsor accreditation or individual course approval. Public retirement systems that provide in-house training may also become certified to satisfy MET Program requirements using the same two paths. Please see below for detailed descriptions of each pathway. The MET Program for trustees and system administrators went into effect on January 1, 2015 and the PRB is now accepting Sponsor Approval applications and Individual Course Approval applications. (Please see the MET Program webpage for more information and FAQs.) Information about the program, how to become a sponsor, links to the program rules, necessary forms, and the curriculum guide can be found below. Curriculum Guide for MET Program – The Curriculum Guide outlines the core and non-core content areas that may be covered by an MET activity or series of activities. Organizations, retirement systems or individuals interested in offering MET courses may either apply to become accredited MET sponsors or submit individual courses for approval. Sponsors who apply and become accredited will not have to apply for approval of each individual course they offer. This path is designed to meet the needs of frequent educational providers. Sponsors who do not wish to become accredited must apply for prior approval of each individual course they would like to offer under the MET program. This path is generally geared towards sponsors who offer fewer or less frequent courses. Sponsors may be accredited to offer MET activities in core content areas, non-core content areas, or both. The list below covers some of the key requirements to become an accredited sponsor; however, please refer to the rules linked above for a complete list of all required documentation and sponsor obligations. Sponsors must provide participants with a certificate of completion (template) within 30 days of the end of the MET activity, as well as, a process to evaluate the quality of the training activity. Accredited sponsors are also required to maintain participation records and other documentation for a period of 5 years, subject to audit at any time by the Board. Sponsors must apply for renewal of accredited status after an initial two-year period, and then after each subsequent four-year period of accreditation. Acceptance by the Board in any given year does not guarantee acceptance in any future year. Descriptions of each type of application follow. Please note that both applications require a course agenda or outline to be attached. Sponsor Accreditation Application (pdf) – This form should be submitted by organizations or individuals applying to become a Board accredited MET sponsor. This path is designed to meet the needs of frequent educational providers. Applicants will be notified by the Board of its acceptance or rejection. Sponsors are encouraged to read the program rules before submitting an application. Please note that incomplete applications will not be considered by the Board. Individual Course Approval Application (pdf) – This form should be submitted by an organization or individual that is not an accredited sponsor and that is seeking approval for one or more MET activities. This path is designed to meet the needs of a sponsor who does not wish to become accredited or who offers fewer or less frequent activities. The Individual Course Approval Application may also be used by a system trustee or administrator who wishes to attend an MET activity from a sponsor that is not already accredited. Whether submitted by a sponsor or a system, this form must be submitted at least 30 days in advance of a training activity, although the PRB may grant exceptions in certain cases. Applicants will be notified by the Board of acceptance or rejection of an activity. A public retirement system that provides in-house training to its trustees may either become an accredited sponsor or may apply for approval of individual training activities. The in-house training must meet the same standards as other sponsors, and systems are required to use the same applications above. Questions? Click here to read over our Minimum Educational Training Program FAQs for Sponsors.